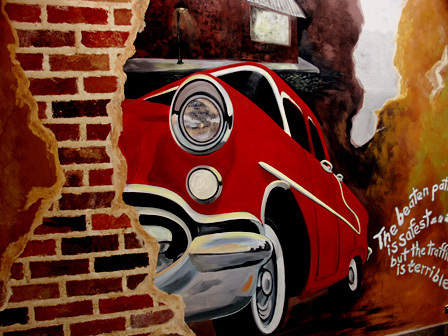 Classic design elements have endured through the ages and are reflected in today’s architecture. 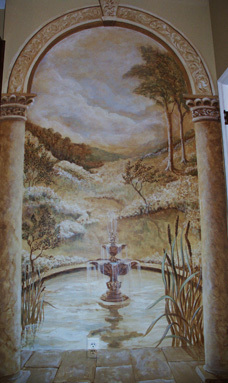 The mural “Serenity” enlarges the visual space in a small resting area for the Landon Day Spa. 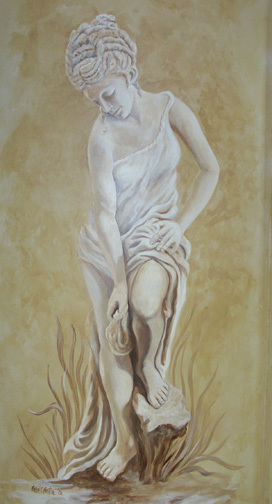 “The Bather” was created for the spa’s main waiting room. 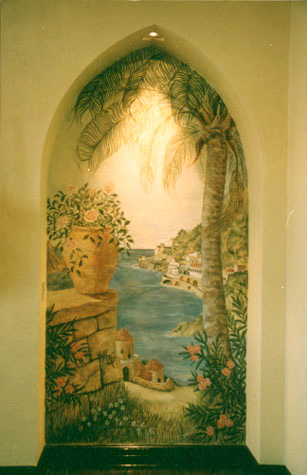 Along with the murals, faux block is painted under the chair rail, color washed walls with fleur de li is stenciled above, and distressed columns complete the effect. 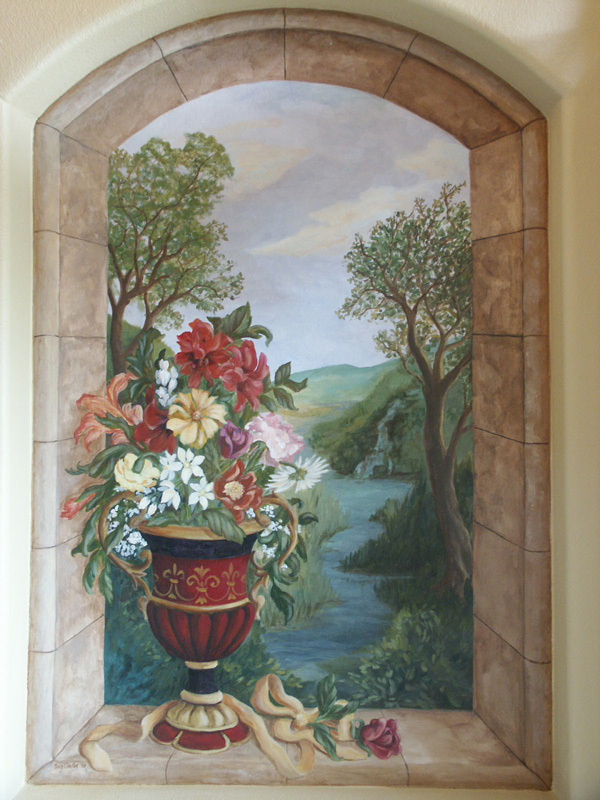 “The Red Vase” was commissioned on canvas for a foyer niche in a private residence. 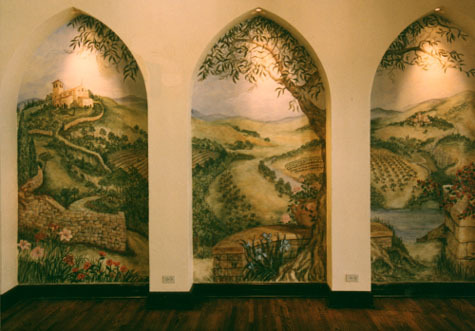 “A View of Amalfi” and “A View of Tuscany” attest to the continuing desire for old world ambiance. 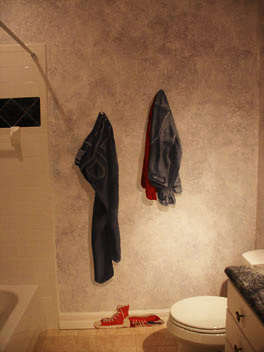 “Hanging Clothes with Sneakers” is all in fun for this homeowner’s bathroom. 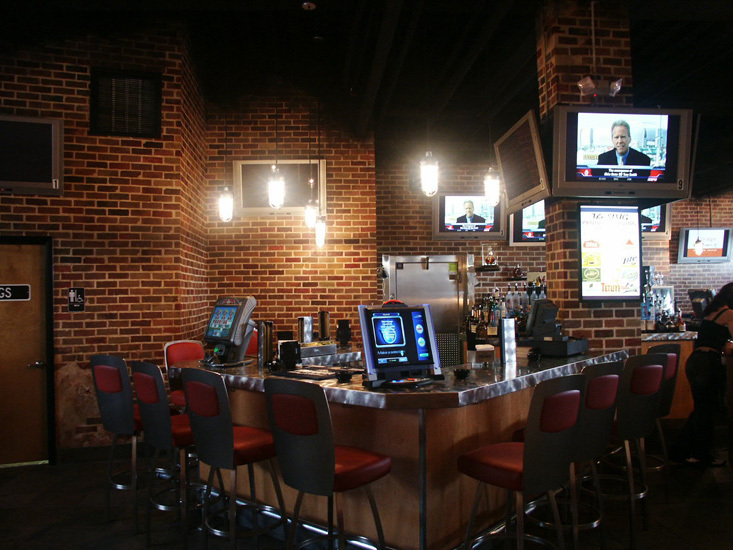 Having a good time is what it’s all about at the Slug, a popular martini bar in the Tampa Bay area. 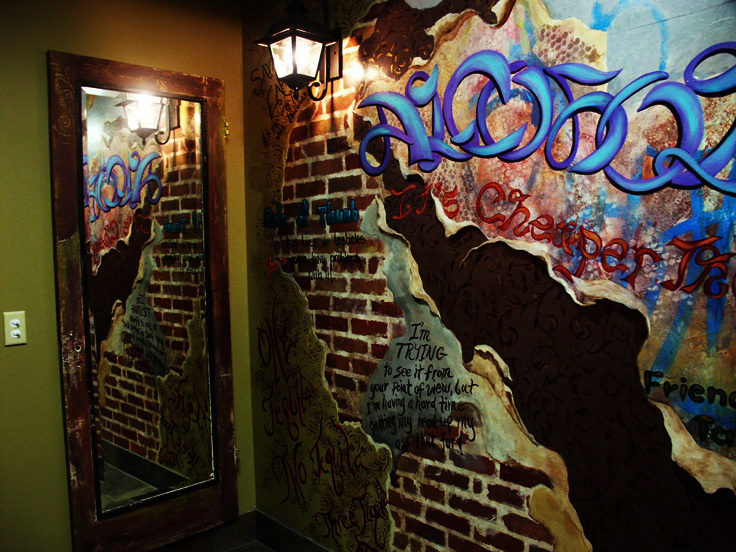 Faux bricks were individually painted on the walls to create an old Chicago warehouse appeal and graffiti murals with limericks and slogans, supplied by the owners and customers, elicit chuckles in the men’s and ladies’ rooms.